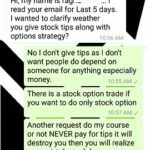 My last email to you was “What To Do If Sold Short Options Are Losing Money” on APRIL 19, 2016. I may have replied to a few, not all. I am sorry if you sent me a message but I did not reply. Please understand that I was unconscious for 2 days and not well for next 13 days. Please accept my apologies for not responding. Thanks a lot for the messages. I have also received many emails on why I have stopped sending emails. Well I hope you now know the reason. I do not have an employee to write emails – I write them myself. How can an unconscious hospitalized person write emails? My apologies for also sending the course to a few people late as I did not touch my computer for 15 days. Now I have cleared them all. Emails will also start, but they will be less frequent until I become 100% healthy. Doctors have advised me rest for one month, but I am still working. So please be patient. There are some 300 emails in the waiting list to be replied. I promise that I will clear them all in next 10 days. Please be patient if you have sent me an email and have not got my reply. When I was in hospital I had no idea what’s going on in the markets. 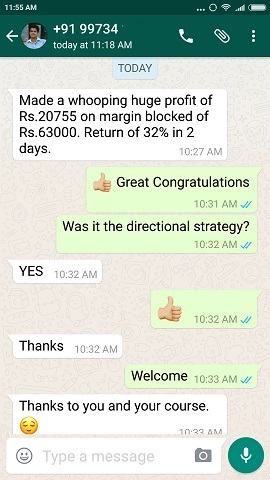 When I got discharged I saw that in the last one month Nifty is on a bull run. I think 8000 is not very far. 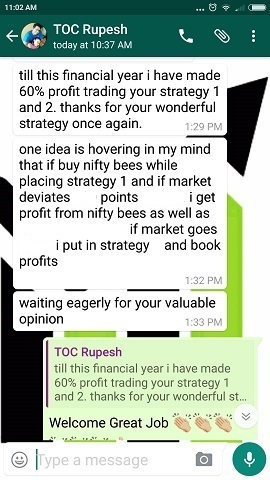 Nifty Bees is the best option to buy when Nifty is looking bullish. Do not buy Nifty Futures just because I think Nifty will move up. 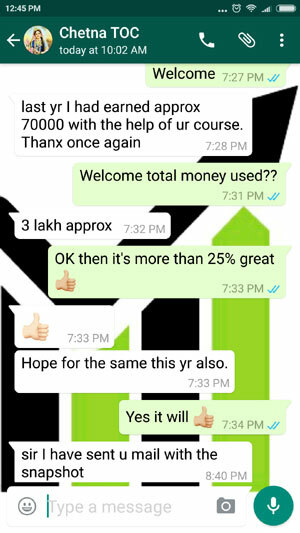 Nifty Bees is less risky than Futures – because they are like stocks, Futures are loans. Do not forget that Futures have an expiry and you have to be correct in direction before the expiry else you will lose money. Though 8000 is on the cards – how much time will it take is not known and cannot be predicted. So taking a calculated risk is better that taking a big risk. Those who buy mutual funds can also buy a good Index mutual fund. An index fund is a type of mutual fund with a portfolio constructed to match or track the components of a market index, such as the Nifty. An index mutual fund is said to provide broad market exposure, low operating expenses and low portfolio turnover. I hope you know that Supreme Court has dismissed petition of TRAI to fine telecom companies for call drops. This is a BIG news for telecom companies and I think they will be bought by many traders. Select 2-3 good companies and start investing in them. Do not buy in bulk – try buying a few shares every month. Bank Nifty is also looking strong. You can try my directional strategy there. INDIA VIX is nearly 17 and it is good to trade Strategy 1 too. 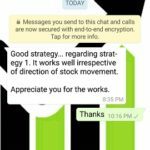 Remember that Nifty is looking strong so VIX should drop and make our strategy profitable fast. In fact it has already started dropping. OK, enough for today. Thanks for reading. Thanks Dilip…Happy to see your post…Please take care of your health and wishes you a fast recovery and healthy life. Hi dilip, happy to hear from u after long tym. I was not aware of ur accident and thought that u have deleted me from ur list……pls. take care of ur health and take proper rest……wish u will be fit very soon. Wishing you speedy recovery and good health. 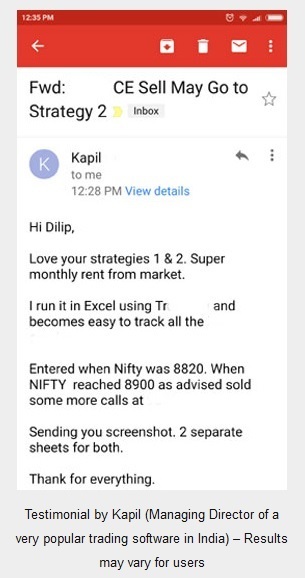 Hi dilip,First of all am very sorry for my rude WhatsApp messaging & repeated phone calls regarding NIFTY positions. As i was unaware of the accident . Get well soon come back on riding Horse . Good luck. Hi Dileep, Good to hear from you. Take rest and get well soon. Take care. Get well soon. Get well soon. Wish you a very fast recovery. when there was no activities in this website my intuition told something wrong happened to Dilipji…such as accident to him or relative…but i did not ask that in my mail…but just enquired what happend…reply from your side was im in hospital….whatever it is…pl. recover 100% health then write newsletters sir. Yes Ragunathan. It all depends on the doctors. I think I will be 100% healthy within a month. Thanks. Hi Sir, Please take care of your health and wishes you a fast recovery. Sad to know about the accident to U.
Hi Dilip. Good to see you back. Was wondering what happened. Am happy all is well, and you are recovering well. Please take care of yourself. Shocked to know about ur accident, Hope u r recovering thick n fast. Get well soon. My senses were fearing for something unusual as u r never late on ur replies or posts. Plz take care of ur health and take Complete rest for about a month. We really want to see u 100% fit. Really sorry to hear about your accident. I was wondering why there are no guiding mails or posts from you. Wish u good health and speedy recovery. Wish you a speedy recovery. Thanks Rahul. I think 100% recovery will take 2 weeks more. Wish you speedy recovery.Lookoing forward to your mails. Hi Sir, hope you get well soon. All the best. I am back from hospital and am fine now. Thanks.